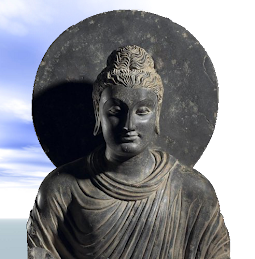 The other day I put metta into a Google Image search hoping to find a picture illustrating the concept or perhaps a beautiful picture with some words from the Metta Sutta on it. All the pictures that came up were of a black American basketball player. Intrigued and a little confused I did a bit more searching and discovered that this high-profile sportsman recently changed his name to Metta World Peace, Metta being his first name and World Peace being his surname. 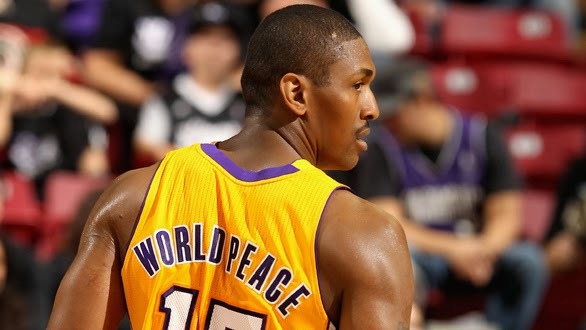 The Wikipedia entry on MWP quotes him as saying: “Changing my name was meant to inspire and bring youth together all around the world” and his publicist explained that he chose Metta as his first name because it is a traditional Buddhist word that means loving kindness and friendliness towards all”. It is a laudable sentiment and it’s nice to know that something of Buddhism is getting wider coverage with the general public. The letdown was not long in coming. It seems that MWP was arrested for domestic violence four years into his marriage and his wife filed for divorce two years later. He has been involved in violence on an off the court several times as well and in a recent interview he stated that he regretted changing his name. High profile sports stars behaving badly is nothing new but this sportsman’s name change thing raises an interesting point, to me at least. The word love, whether used in a romantic or a religious sense, is thrown around often and very liberally. The quality itself is quickly and ardently professed, everyone gets all warm and when they use it or hear it being used, it is lauded and put forward as the solution to many, sometimes to all, human problems. But let’s face it, love of any type, especially metta, is a rather rare quality. Getting all tearful and chocked up while saying “May all beings be well and happy” is one thing. Genuinely trying to be forgiving, patient, kindly and generous, especially when it is hardest to do so, is another. This is not to say that we can’t have metta but just that it takes more than talking about it or giving yourself that name. The lotus posture, padmasana, is the name traditionally given to a way of sitting in many Indian spiritual practices, particularly in meditation. The practitioner sits placing each foot on the thigh of the opposite leg. Thus the legs are interlocked and symmetrical aligned. The hands can be placed on the knees or in the lap or on the knees. Although this posture imparts a degree of postural stability many people take time to get used to it and often report that it becomes uncomfortable to maintain for extended periods. Indian tradition ascribes a great deal of benefits to the padmasana, that it harmonized “energy”, that it massages the nerves enhancing relaxation, etc, even that it is essential for meditational progress. Most of these claims would seem to be fanciful. 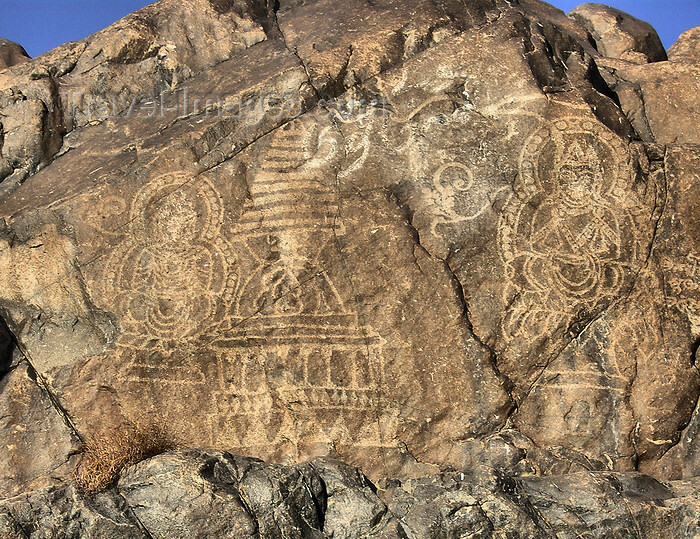 In traditional Buddhist art the Buddha is often depicted sitting in the padmasana. 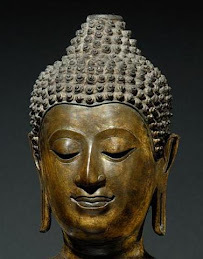 However, in the suttas the Buddha himself says nothing about posture in sitting meditation other than that one should sit “with the body straight” (ujum kayam) and the legs “pallankam abhujitva”. This term could mean legs crossed (i.e. lotus posture) or simply folded and the term padmasana occurs nowhere in the Tipitaka. In this second posture the legs are folded and placed against the other rather than being interlocked. Many people report that this posture is more comfortable and is less likely to cause cramps and painful stiffness. Although the placement of the body may have some influence on the mind it is probably very slight. 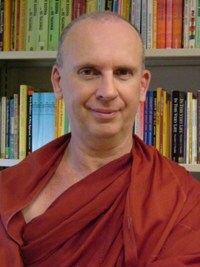 Ultimately, the more physically comfortable one is the easier one’s meditation will be. Meditation is, or should be, a simple and natural process. Requiring numerous technical necessities and details only robs it of these qualities. 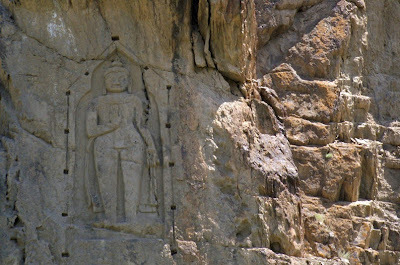 Northern Pakistan, Gilgit, Swat, Chitral, etc, in ancient times was a major route for Indian missionary monks and nuns going to China and Central Asia and for pilgrims from those areas going to India. 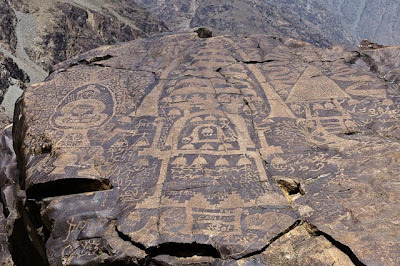 The region is covered with traces of their passing, graffiti, inscriptions, petroglyphs, images, etc. Now the government of Pakistan is considering damming the Indus River, a project of immense environmental consequence but also one that would destroy the thousands of archaeological sites in the region. Here are images of but some of them. The Swat Valley in northern Pakistan is definitely not the sort of place you would want to be visiting nowadays. Malala Yousafzai, the girl who was shot in the head by the Taliban in 2012 for attending school is from Swat. But it wasn’t always the case. Going back 1500 years ago the valley was known as Udyyana, the Buddha’s Garden. 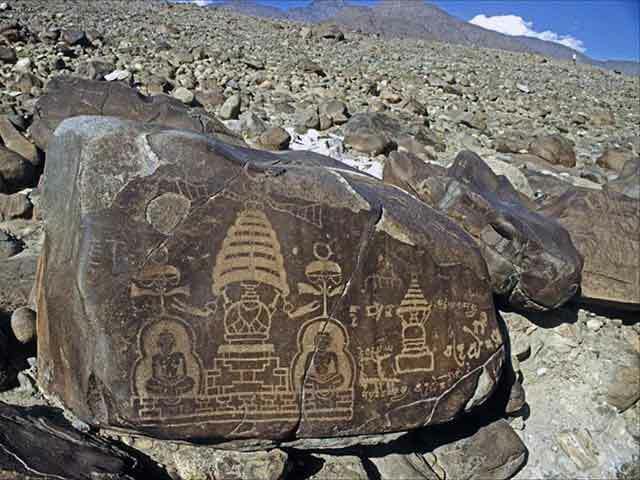 The monks have long vanished, their sonorous chants silenced forever and their monasteries and stupas now nameless neglected ruins. 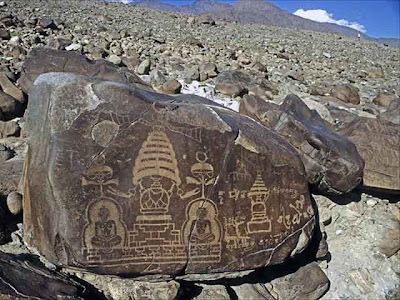 But even here the Buddha’s words, though no longer understood by the locals, can still encountered. 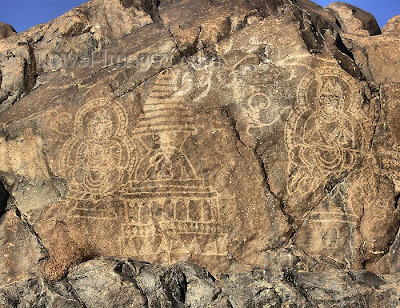 If you take the main Malamjaba road some 5 k north of Manglaur you will eventually see two huge rocks on the side of the hill, one known locally as Oba Ghat and the other as Khazana Ghat. 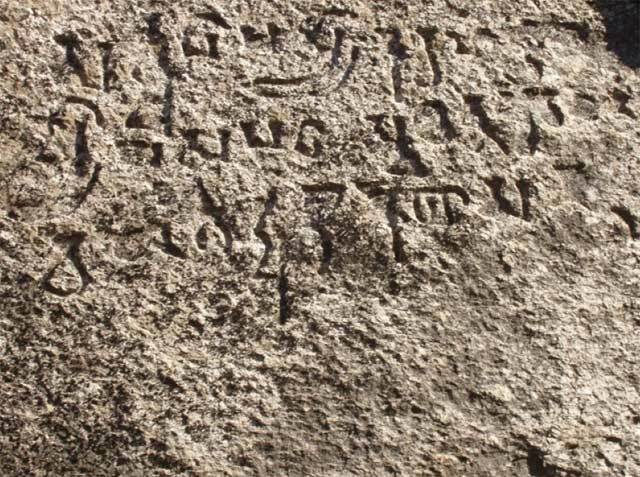 There are two inscriptions on the first of these rocks and one on the second. 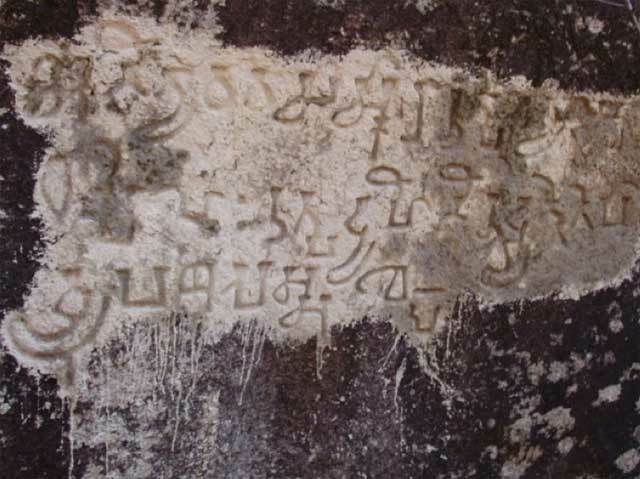 The first inscription reads: Sarvva pāpasyākarana, kusalasy opasampada, svacitta vyavadānam, caetad budanu sasanam, which is of course the Buddha’s famous summery of his teachings from Dhammapada verse 183. 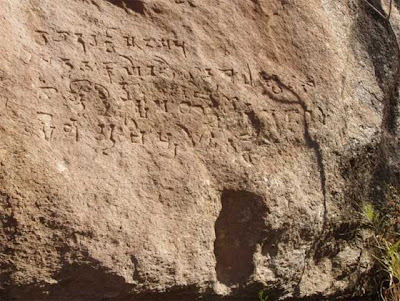 The second inscription is on the upper portion of the rock far beyond reach and reads: Vācānurakst samvrtahk kāyana caiva kusalan na kurvan tāstrāyin karma pathānu isokya āraghyen mārgam rpippraveditam. 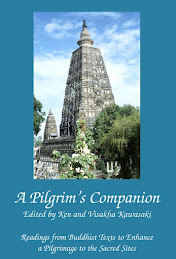 This verse can be found at Dhammapada 281. Moving on to the second rock one will find a third inscription which reads: Anityā vava (sic! 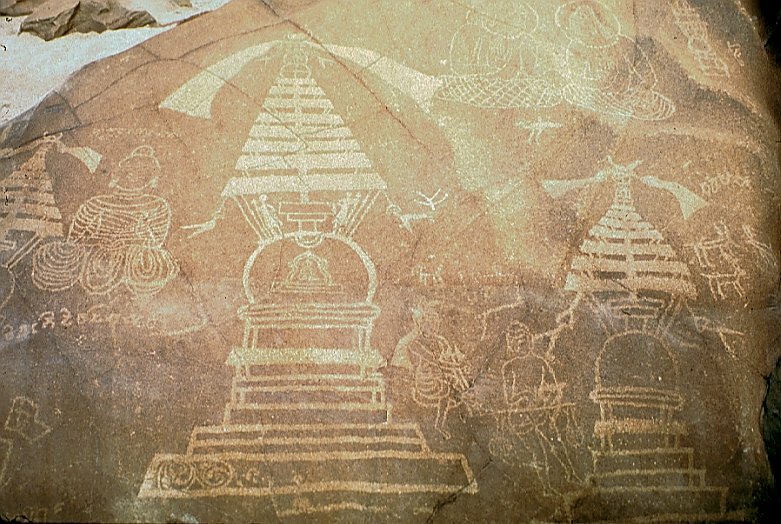 for vata) samskārā utpāda vyaya dharmina hutpadyahinirud (dh)yantetepā (read tesām) vyupasamas sukham. 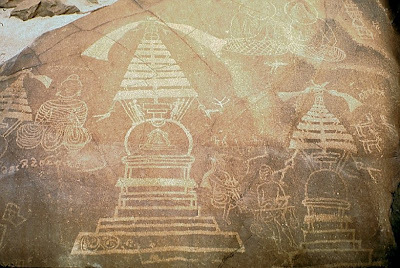 This passage can be found in the Mahasudassana Sutta (D.II,1990 and is repeated in the Mahaparinibbana Sutta where it is recited by Indra. Each of these inscriptions is in Sanskrit, although in the case of the last one with rather poor spelling. The first two are in Gupta period Brahmi characters from about the 2nd or 3rd century CE, and the third was written in the 6th century CE judging by the characters. Who wrote these verses we do not know. 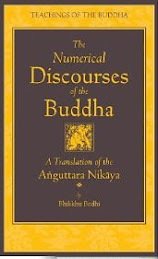 Clearly they were literate, they knew the Dhammapada and the Digha Nikaya and they thought the verses important enough to make them known, so chances they were monks or perhaps nuns. What would they think of Swat, one of the loveliest valleys in the Himalayas, if they came back today?